Jason was very knowledgeable when it came to preparing, posting, and selling our house. He went above and beyond in serving our needs and made the whole process as painless as possible for us. Not only did he know how to answer my questions about the process in layman's terms, but he put "the cherry on top" by gifting us a picture book to remember the home we knew and loved. I give him top marks across the board! Dave and Rebecca C.
I could not of been more pleased. Jason was always right there to answer questions Kay C.
Jason is a conscientious, persistent and detail oriented agent. Most of all he is a really nice guy. 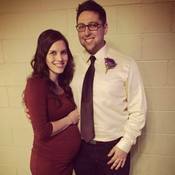 John and Ellen O.
I was a first time home buyer and very nervous about the entire experience when I initially began. Jason was thoughtful and took the time to walk me through the entire process step by step. He offered great advice and made his schedule flexible to meet my needs. I couldn't have asked for a better realtor and I'm glad I had someone in my corner I could trust to look out for my needs. Melissa B. Could not have had a better experience with our realtor. He was thorough and made sure all our questions were answered. If you need a great realtor, Jason is your guy! Zachariah and Angela S.
Being a first time home buyer, we didn't know how good we had it, purchasing our first home with Jason's help, until we heard some first-time-home-buying horror stories. Having known Jason since college I can see how his character transfers into being a great realtor. 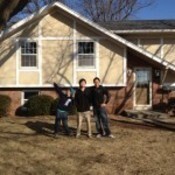 Jeremy and Karis L.
We thoroughly enjoyed working with Jason finding our new home. We came from out-of-state and were not sure what area of the Des Moines metro we wanted to live in. Jason was extremely patient and was not pushy when it came to finding the home of our dreams. Thank you Jason! 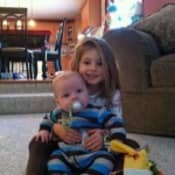 Jacob and Clara F.
Jason has been a God-send for me! He is kind, patient, knowledgable, and tries very hard to meet a buyer's wants and needs. He goes out of his way for you. He is a man with integrity-very honest. He helped us find our home. Thank you Jason! Janine L.
Very professional and guided us extremely well through the home buying process. I will use him again and definitely recommend him. 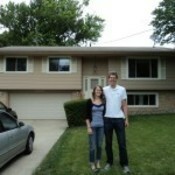 Dustin and Jennifer S.
Jason helped us find the perfect home in just little over a week! 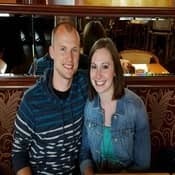 My fiance and I were very nervous about the home buying process, and thought it was an overwhelming thing we weren't prepared or ready for. We've heard it could take months and feel daunting, but Jason made searching for our home stress-free and fun. He answered all my questions I texted, and was very knowledgeable about every detail. He had great insight into the quality of homes. He was also very reassuring during the negotiation and inspection phase. We couldn't have done it without him. I HIGHLY recommend Jason Rude for buying a home. Mary B.
Jason is a top notch realtor. He worked with us for over a year to get our home sold (which had some complications). After getting ours sold he helped us find a perfect new home. Would HIGHLY recommend Jason! 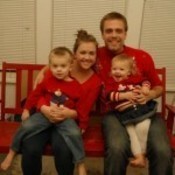 Zac and Becky O.
Jason helped us buy and sell our home and we were so thankful for his expertise! Jason did so much behind the scene work that we didn't realize until after! His availability, experience and familiarity of Des Moines and surrounding areas are unmatched! Kerry and Rebekah J. We did not know any realtors in the area when we began the search for a home here. 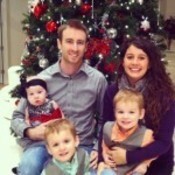 Our son in law referred Jason to us and we are very grateful that he did. Jason has the Midwest work ethic which is difficult to find in young people these days. He worked hard for us from the start to finish. We now consider him not only a great realtor, but a friend. We would absolutely refer our family and friends to Jason. Jim and Mary S.
Jason went above and beyond to help us find our new home! We were searching for homes while out of state and he would FaceTime us through homes and help us with all our questions as well as making himself available during a quick visit to walk through a home! We loved working with Jason and would recommend him for anyone looking for homes in the area! Megan A.
Jason expertly guided us, our daughter, and her in-laws through buying three properties-each one just right for three very different requirements. He offered good advice and prompt follow through. Jason gave us great service before and after the purchase of our home. We highly recommend him! 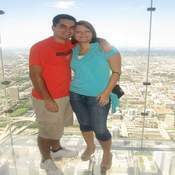 Bryan and Cindy M.
Jason found us a great place and persevered when we didn't find something immediately. As out of town buyers, he was flexible in working with us and our unique situation. He was our advocate and resolved all issues when the seller was difficult. Closing went very smoothly, and there were no surprises. We are very pleased with our experience and definitely recommend Jason and would use him again! Robert and Sondra M.
Jason goes out of his way to be as helpful as possible. He is also very patient with people new to real estate. Adam and Graciela V.
Incredible service! Provided service with honesty and integrity. Tyler and Carol H.
Great communication, no pressure; takes time and puts in the work to get things right. 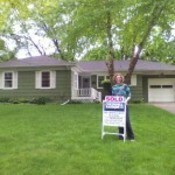 Kirk and Sarah M.
Working with Jason Rude made the process of buying a house wonderful. He was willing to work at our pace, guiding us through the decision making process. Jason provided the highest level of customer care! Thanks! Alex and Allison M.
Jason was awesome. 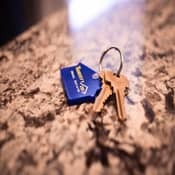 He kept us full of houses to review; followed up quickly with questions we had about properties, and went above and beyond in getting things settled, opened up, requirements met, and well-explained advice. Gary and Joanne G.
Finding ourselves in the situation of both buying and selling a house simultaneously, I am thankful that we had an experienced agent like Jason in our corner. He helped us think through timing, dollars and strategy, and put us in a position to move basically stress free. Had we not had a professional like Jason during this endeavor, we very easily could have found ourselves in an undesirable position on either end of the transaction. Jason also helped us better understand the process, as this was our first time selling and looking at new homes. 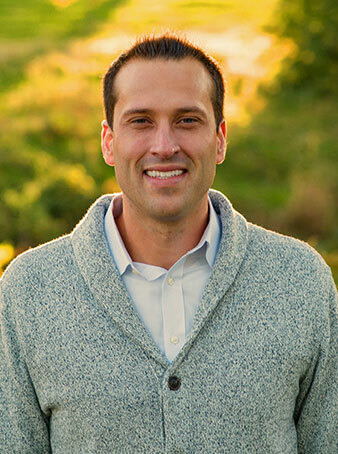 We would highly recommend Jason to anyone looking to buy or sell a home. Greg and Haley A.
Jason made buying our first home fun. He showed patience while we looked at houses and eliminate houses that he knew were not good fits. His knowledge and work ethic kept us comfortable throughout the home buying process. We were happy to have Jason as our agent and look forward to working with him for any realty decisions in the future. We highly recommend him. Brandon and Jessica S.
Jason did a great job helping us quickly sell our house and also find a new home that was perfect for us. Jason was very knowledgeable and listened to our needs. He had great suggestions and made the whole process quick and easy. We would recommend Jason to anyone that is looking to buy or sell. Ken and Darci S.
The best part of working with Jason was his honesty, reliability and willingness to help. We were so pleased to have Jason as our agent because of his relationship with our mortgage broker. With Jason at our side, they truly helped make our dream come to fruition! We definitely recommend him, especially for couples and first time home buyers. Laurene F.
Jason was an awesome realtor! He helped Amanda and I get our first house. We've been there for 5 years. His professionalism and dedication to us was very refreshing. We were happy to use Jason as a realtor! 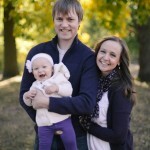 Mike and Amanda O.
Jason made our home-buying experience so wonderful with his mellow demeanor and extensive knowledge. He is very trustworthy and every step of the way he was genuinely motivated to help us find the right home. Thank you so much for all your help Jason! Greg and Ashley B. We have officially sold our house in Iowa! Thanks to our great realtor Jason Rude and Twenty/20 real estate for making selling a house from long distance very easy. If anyone in the Des Moines area is looking for a realtor, Katie and I very highly recommend reaching out to Jason! Mark and Katie S.